With Didi announcing a temporary halt in services between the hours of 11pm-5am starting Saturday and lasting a week, we tested alternatives. 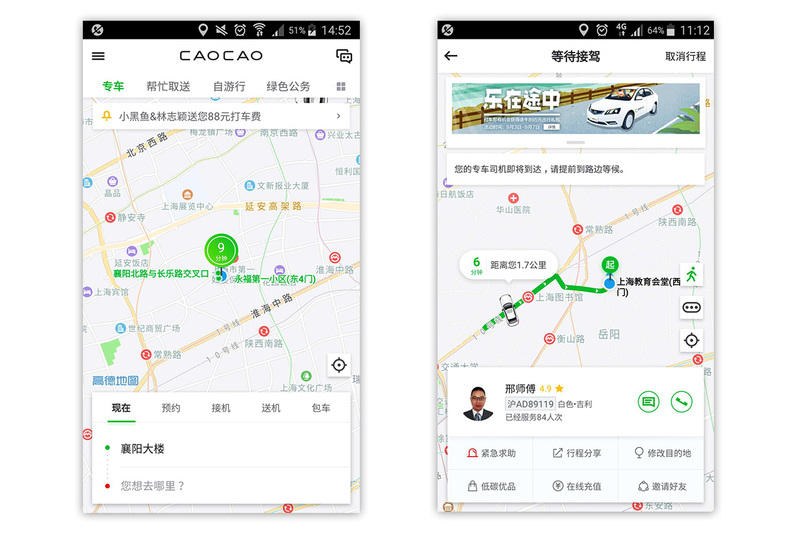 Not Meituan -- we've already done that one in great detail -- but three other options for getting around town: Yidao, CaoCao and Shenzhou, all available on your nearest Android and iOS App stores. Disclaimer: All of these apps were tested on an Android phone over the course of two days. Individual experiences may vary. All apps are in Chinese only though they are easy enough to use if you're familiar with Meituan or Didi. 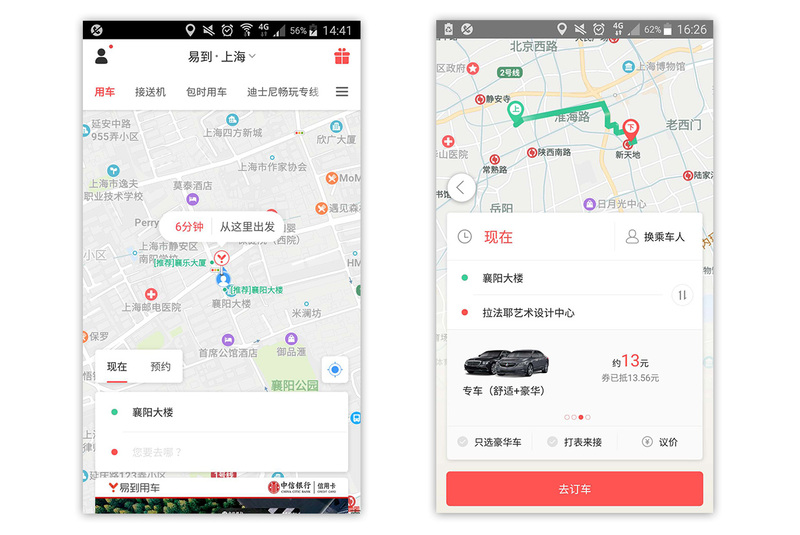 Once the third-largest ride-hailing app (behind Didi and Yidao) before Meituan jumped the line, Shenzhou Zhuanche (known internationally as UCAR) launched in 2015, and calls itself a chauffeured car service. 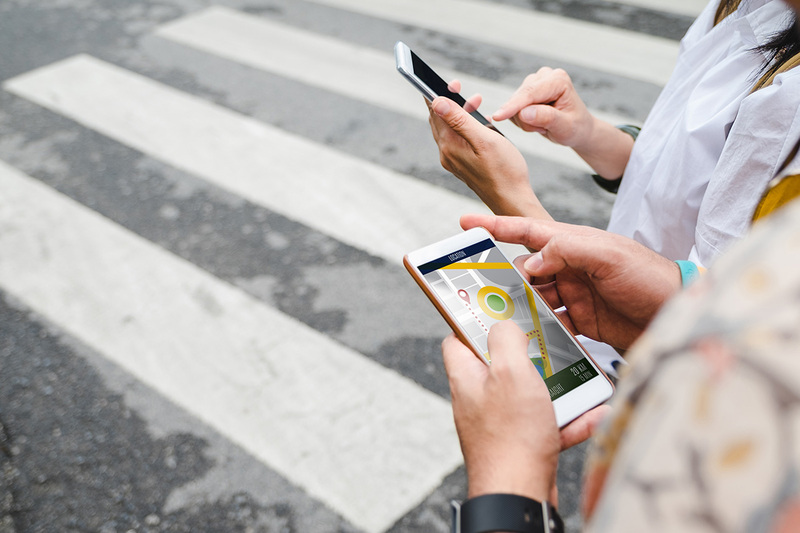 Its schtick is that drivers are employed and licensed by the company, they track the cars, and ensure your privacy, including hiding your phone number from the driver. Very safety conscious, which seems especially relevant in this day and age. The app is tasteful, uncluttered and pleasant to use. The price was on par with the others (you'd expect something with stricter guarantees to make you pay for it) but the two rides I took were still within the "new-user subsidy" grace period. The rides came on time and the driver was polite and professional. Payment is done by topping up via Alipay (and others), or you can attach a credit card but you can't use debit cards. I'd use it again. Another Hangzhou-based service, CaoCao is named after the infamous Wei Kingdom warlord, CaoCao Zhuanche was launched in 2015. Its big marketing banner is its fleet of exclusively electric cars (mostly Geely, which is also its lead investor). Plus, you can set up courier services through the app too. Neat. The cars consistently accepted the order and showed up within minutes. Also, they didn't charge surge-pricing for ordering during a rainstorm, though that might've been a first-time-user perk. Downside, though, is the app has an overwhelming number of buttons, options and features, and is kind of packed with ads. Definitely take some getting used to. Payment is done by topping up your credit by Alipay (or others). Would I use it again? Ummmm.... yea? 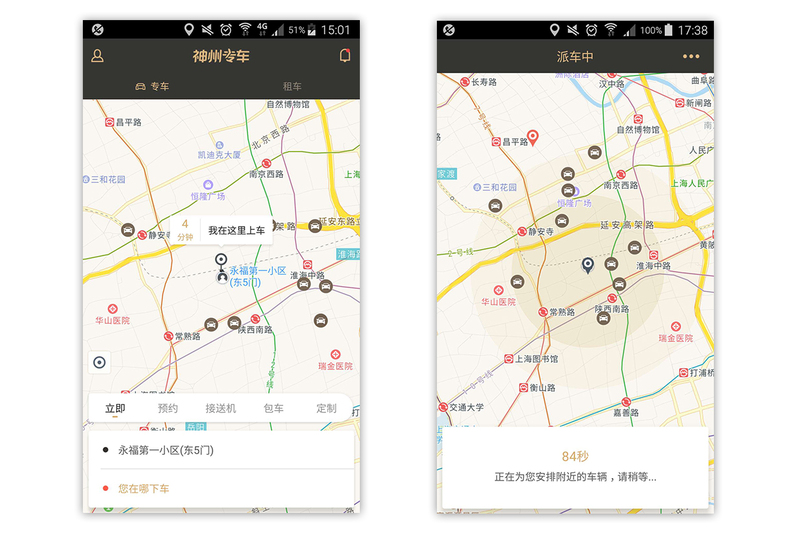 Hangzhou-based Yidao was China's first ride-hailing company, launched in 2010. It has a host of options available, too, including renting a car by the hour and even a tab for organizing shuttlebuses to Disneyland. Yes! Nice lay-out and intuitive design, with similar options available for rides as the others. Notably, it took forever to get a car for a short-distance ride. In several cases, I waited longer than it would've taken just to walk, and just ended up cancelling. Speculation is that the company's financial difficulties have seen drivers jumping ship to competitors, and the rest are only accepting longer-distance rides. Unlike the others, you can link your WeChat wallet to Yidao in order to pay. Probably wouldn't use it again. Took forever to get rides.